This post features work at the Traditional Boat Building and Repairs shop. “It’s a cold, February Sunday and Toronto is experiencing snow and slippery roads. I am suffering wooden boat withdrawal. All the Lakes in Muskoka are frozen (with two or three feet of ice) and snow covered. There isn’t much chance of catching a gleaming mahogany Ditchburn Triple waiting at the Port Carling locks to open. So what is a wooden boat enthusiast to do? While I could go into my garage and look at my 16 ft. wood canoe; but it is under a work bench in the garage, which would mean shoveling 16 ft of driveway to allow me a glimpse. Then a great idea hit me. I launched the crackberry roledex and cranked out a note to Peter Code, a boat restorer who lives five minutes from my house, Peter has a 2000 sq. ft. boat shop that can accommodate a 38 ft boat! Several days earlier, Peter’s wife had told me she had woven some new seat bottoms for a 100 year old Walter Dean racing canoe that was in the shop for some work. Also in the shop was a 15 foot stitch and glue sail boat, a 17 foot Toronto harbour built boat, as well as a couple of new canoes and a rowing skiff. Pete had also been busy building a 2nd storey inside this building for two canoe construction areas, as well as a soaking tank for steaming planks for canoes and boats. When I arrived, Peter was busy planking a new 15 foot canoe. I immediately walked past a “Pocketship ” stitch and glue sailboat. Chesapeake Light Craft sells these boats either as plans only or pre-cut assembly kit with a CNC router. The latter version is shipped to you in a 4 x 10 ft box, weighing 540lb. You pop that into the back of your pickup truck and off you go. Buying the pre-cut wood saves you about 3 months of menial cutting work, but it really is the timing saved in fairing, as all the wood is within a 1/1000th inch of tolerance. This provides a very exact fit. Take a look at the way the two sheets of plywood are joined to form the side plank in the accompanying photo. The boat joints are all glassed and epoxied, as are all the external components of the boat. This provides a very light but strong hull. This sailboat has room for two people to sleep, plus a head, storage – and you stay dry! The Pocketship is light boat that is easily trailerable with manageable sails and a mast. She is an excellent option for weekend sailing. Behind Peter is the 2nd storey loft for the canoe building areas and the soaking tank. Facing Peter are two boats in for repairs this winter. The one with the brown paint to be removed is a 16 ft lapstrake rowing skiff from a builder named Crosswell from the Parry Sound area of Muskoka. It was bought at an auction. The purchaser decided thAT this was a job that needed a professional who could remove the paint without damaging the very old wood. In the foregound is a blue lapstrake Aykroyd sailboat built in Toronto Harbour. That purchaser had never got around to repairing his boat’s bottom for a number of years, so Pete was handling the job for him. the left hand side approximately 4 inches/2 planks down from the top edge. If you look carefully at the seats you will notice the back seat frame is much shorter on the right hand side. This allows the paddler to dig deep without leaning as much and tipping. Peter’s wife did an amazing job caning the seats. Unfortunately the deck boards and the floor boards were beyond repair. Peter has remade these parts and they will be either matched to the boat’s patina or reveal that they are not original. This was a decision that the owner had yet to finalize when I visited Peter. This canoe is not a museum piece, but one that will be used on special occasions. Peter will take that into account when determining the materials and techniques to be used during the restoration. not be visible for the most part. Quite a unique and rare canoe! it was great to see a canoe in such capable hands as Peter’s. I really enjoyed Pete’s shop. He did not know I was coming for a visit, but you can see that the shop is clean, well lit and organized. The temperature and humidity are controlled. Peter seals off an area for varnishing and his work speaks for itself – even when a boat is 30 plus feet. 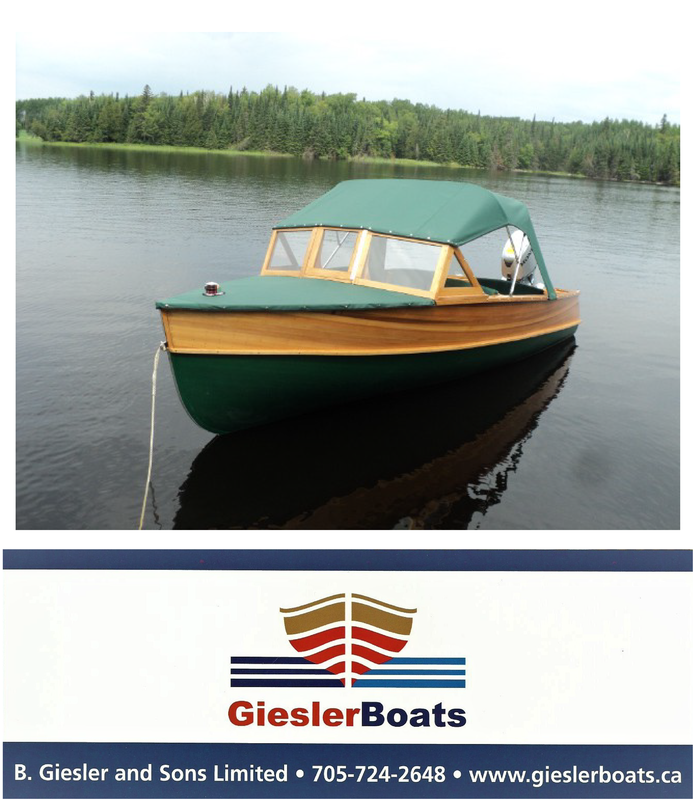 If you are looking for a someone to build or restore your antique boat, Peter has over 25 years of experience building and restoring his customers’ dreams in a cost effective manner.